Echo Coffee: Since we usually start the day with coffee I figure we should start with the place I think is the best in town. All the coffee is fair trade and french pressed to order. My go to drink was their killer vanilla latte. Yum Yum Yum. Great cozy spot away from a lot of foot traffic makes this a neighborhood favorite. Definitely worth checking out. Brix Wine Bar: Can't go wrong with a great wine bar. The best thing about Brix is that they have a pay card system for different pours of premium wine. Basically you can taste pretty expensive wines without having to dish out full bottle prices. Pay a few bucks and get a few ounces of liquid of the gods. Good stuff. M's Pub: Now for a good bite to eat the "Old Market" is the place to go. It's littered with great places for grub. M's pub was the place where I had my best dinner while there. Had a great grilled beef tenderloin with bone marrow-garlic scape risotto and heirloom cherry tomato vinaigrette and some baked escargot with havarti cheese. All of the dishes were excellent and so was the service. The Boiler Room: After dinner this was my favorite spot to go for drinks. The decor and ambiance take you back to another time. Clark the mixologist whipped up some wicked good cocktails. Two of the best old fashioned and manhattan's I've had the pleasure of sipping. Check them out. Ted and Walley's Ice Cream: After a great meal I usually can go for something sweet. Ted and Wally's was a place I loved to hit up. The list of home made ice cream on the menu changes daily and they let you sample all of their yummy creams. If you like from scratch Ice cream then this is your place to go. The location is also a repurposed garage which makes for some pretty cool architecture. The Element Hotel Midtown Crossing: At the end of the night go here to rest your head. Reasonably priced and with a great value in each room. Free breakfast and even free bikes you can use to explore all that Omaha has to offer. Monday thru Thursday they offer a great free happy hour for guests with some delish appetizers. Last but not least the locations is surrounded with a bunch of great bars, restaurants and even a full service movie theater that has waiter service in your seat...perfect. Omaha is a place that I can't wait to get back to. 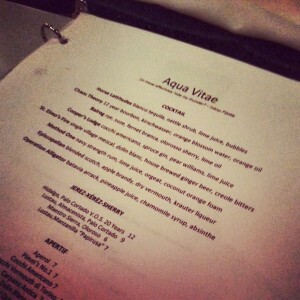 There are so many more spots to check out and share with my Foodions. Wonderful people were what made this and even better experience. To add my FourSquare list for Omaha to your account click Here.